My upvc lock won’t open what do I do? 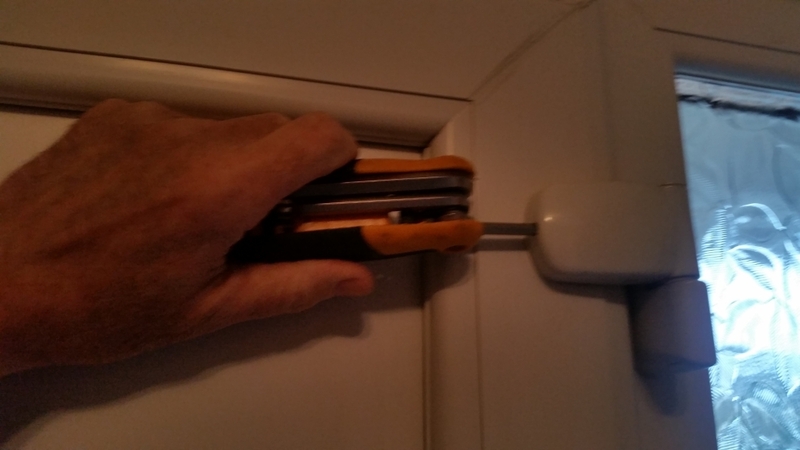 New door necessary if unable to open upvc lock? I carry most multi-point gearboxes so it was simply a case of replacing the part in the door. My customer was extremely pleased as this repair was a fraction of the cost of a new door. 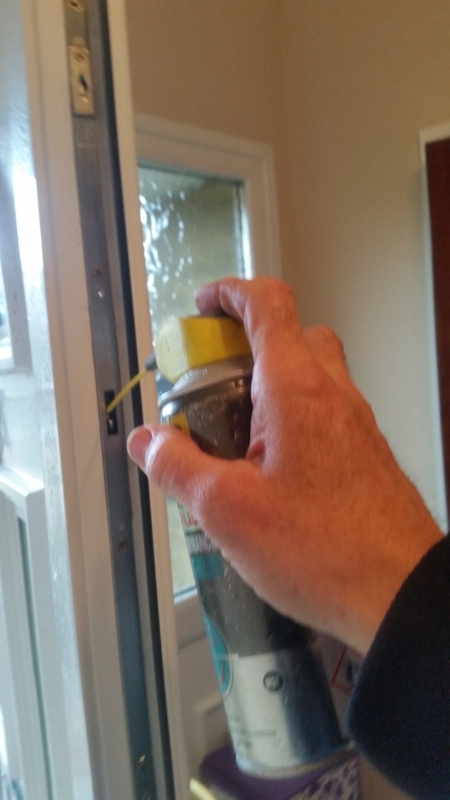 There are a few things that can be done to help maintain your upvc lock. Upvc doors are made up of 2 parts; the outer frame and the inner panel. 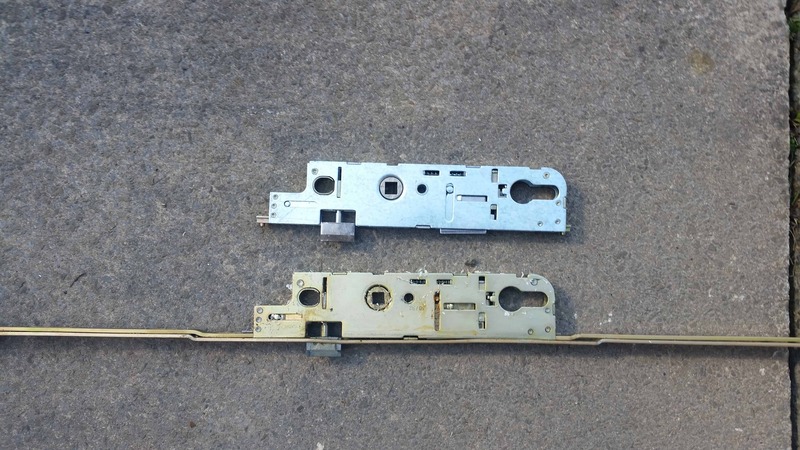 When the door is installed the inner panel is packed with plastic wedges, this is called toe and heeling, over time and due to changes in temperature the door can drop, making it hard to lock, this puts strain on the mechanism and can result in failure of the locking mechanism. 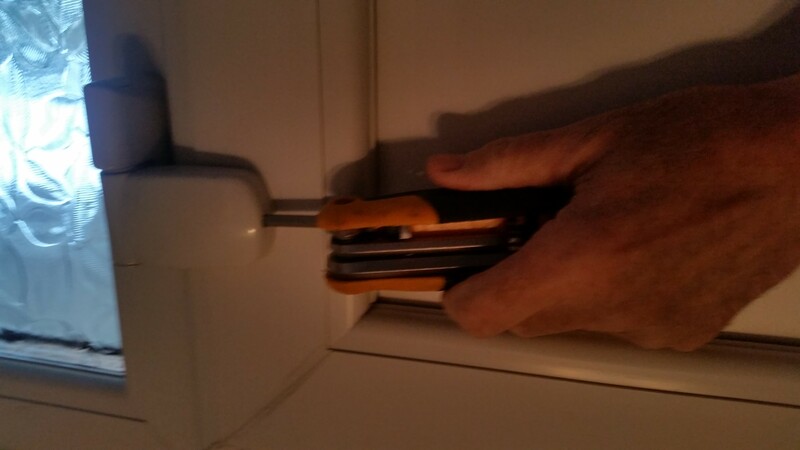 On most new upvc doors the hinges are adjustable. 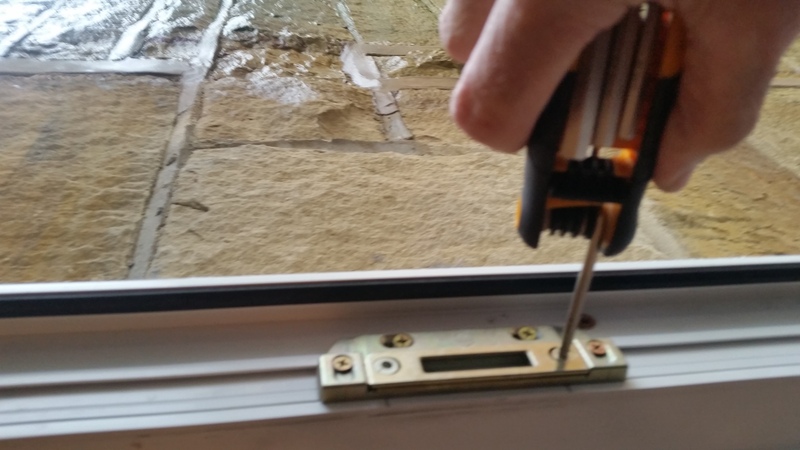 If you find your upvc door catching on the frame the hinges need adjusting, failure to do this can result in the mechanism failing. 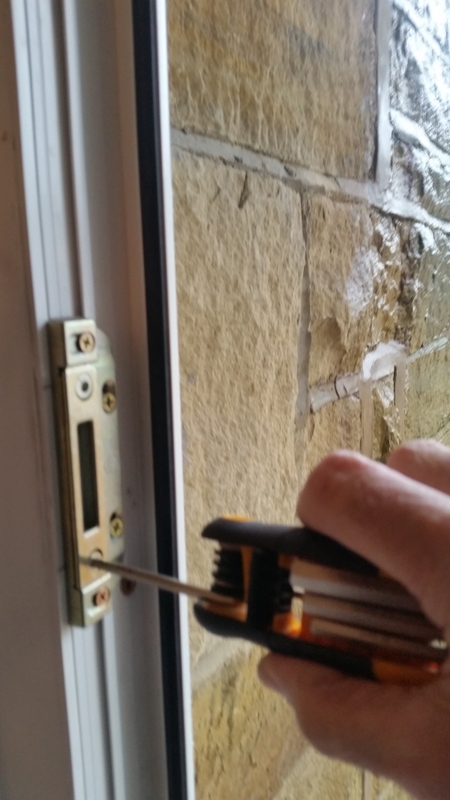 In most cases this can be done with an allen key (pictured) This will improve the performance of your upvc lock. 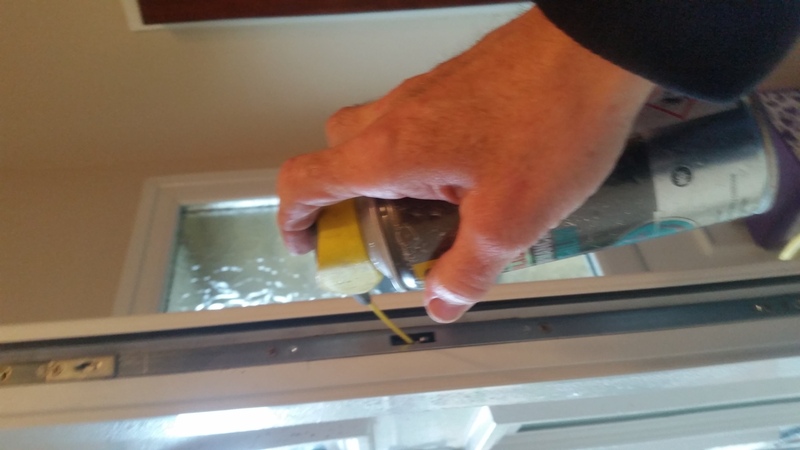 This is very inportant because all parts of the mechanism are metal and if lubricant is not present your upvc door lock will wear out quicker than the manufacturers’ 10 year life expectancy. 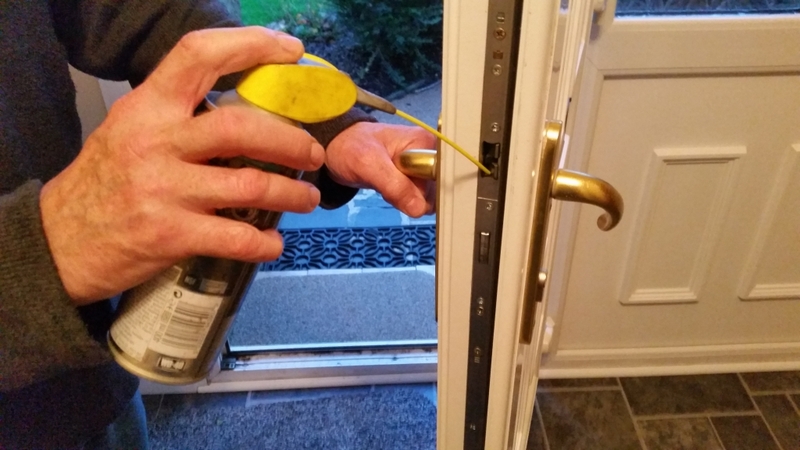 In most cases adjustment to your upvc door can be achieved; but in relation to older upvc doors, toe and heeling may be the only way to adjust the door. 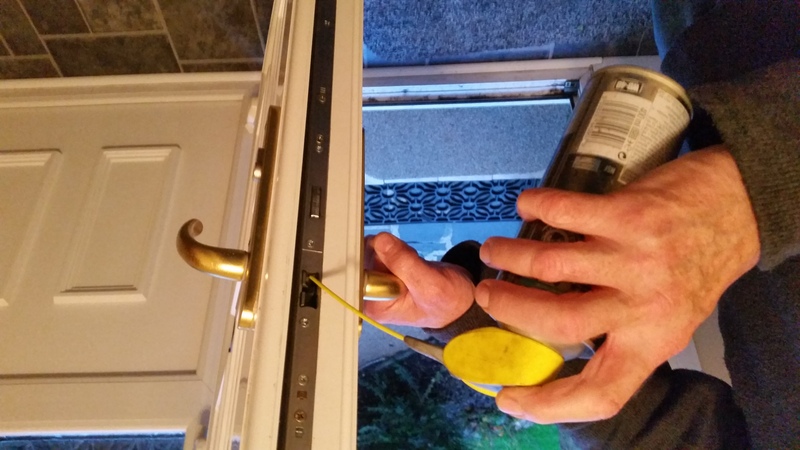 If you do not feel confident adjusting your door contact Absolute Locks will be happy to help.